• An in-depth and unique perspective on Fell's Point's scandalous history. • Visiting the stomping grounds of some of Fells Point's most famous and infamous denizens. 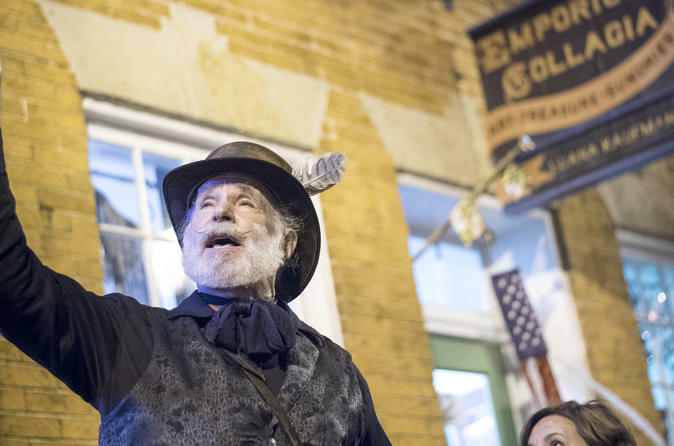 Join Baltimore Wicked History Tours as we take you back to when Fell’s Point was a colorful, dangerous place to visit, teeming with sailors, ladies of the night, and immigrants looking for a better life. Tempers ran hot with people who had nothing to lose and those looking to exploit them. Privateers on their sleek and dangerous clipper ships made Fell’s Point a target for the British during the War of 1812. Plagues swept through the neighborhood, wiping out many residents. But Fell’s Point had its bright spots with luminaries like Billie Holiday and Edgar Allan Poe roaming the streets. We invite you to come see the scandalous side of our beloved neighborhood. Some might call it wicked. This tour starts at 3pm on Saturdays and departs from the sidewalk outside of Max's Sidebar at 731 S Broadway, Baltimore, MD, 21231. The tour duration is 1.5 hours and this is an entirely outdoor walking tour.